Xamarin’s Mono-based products enable .NET developers to use their existing code, libraries and tools (including Visual Studio*), as well as skills in .NET and the C# programming language, to create mobile applications for the industry’s most widely-used mobile devices, including Android-based smartphones and tablets, iPhone, iPad and iPod Touch. 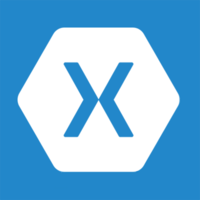 Why do developers choose Xamarin? Why do you like Xamarin? What are the cons of using Xamarin? 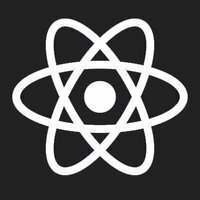 How much does React Native cost? How much does Xamarin cost? How much does RIBs cost? What tools integrate with Xamarin? What are some alternatives to React Native, Xamarin, and RIBs? I'm working in Huge company and I'm in charge to choose the cross-platform environment to develop Mobile application for all our services. I choose Xamarin but because the error i get everytime in Visual Studio, I want to leave it and recommand another solution. In fact that's why I'm here. Weird, Install VS2017 with Xamarin on a new PC Create a new app GOT ERRORS.....!!!!! Xamarin enables us to develop for 3 platforms (iOS, Android and Windows Phone) with one core codebase coded in C#. Xamarin has allowed us to release an app on all three platforms and develop them simultaneously - not bad for a team of 2! Self taught : acquired knowledge or skill on one's own initiative. Platform: OSX 10.8 or later. Mac computer user. Build & ship OS X & iOS apps from Visual Studio on Windows. Requires paid team license. Mobile app development with PCL and Xamarin.iOS and Xamarin.Android.